ps: Please DO NOT republish these photos without permission! Thanks for your swatches again :) Which one is your favourite? Did you like Rose Romance BPs? I found them in the MAC store here, I keep thinking if they worth or not..
thanks for swatching! I have got the Barbie Loves Mac Pearl Sunshine and it is one of my favourite ones. 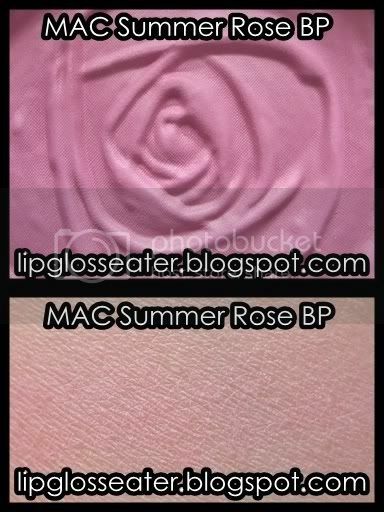 I like the Rose Romance BPs too... though i wish they were more pigmented! 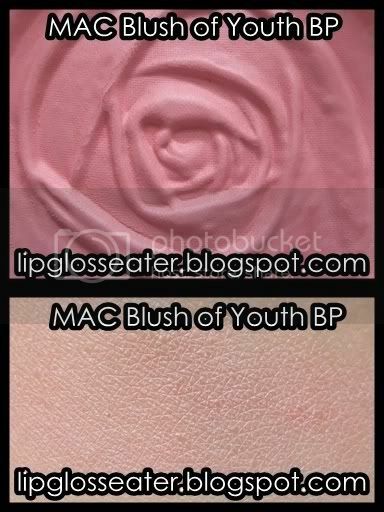 If you're darker than NC30, i think you can skip Blush of Youth because it'll hardly show up!! Catanya: you're welcome girl!! :D Hi5!!! I love that one too!! Regret not getting its sister Pearl Blossom! i like the pearl sunshine, sheer and glittery :D or is it just my eye glittery?